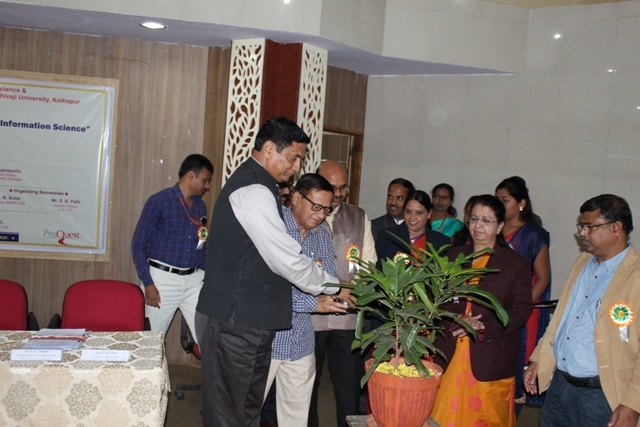 “Communicating Science for all” was organized on the occasion of National Science Day (NSD) on 28th February 2019. The Remembering 26/11 attacks and the brave martyrs on its ninth anniversary- organised on 26 November, 2017, at Barr. 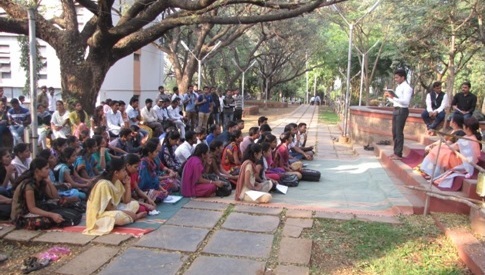 Balasaheb Khardekar Library, during this occasion Hon. Pro-Vice-Chancellor Dr. D.T. Shirke and Director, Dr. R.V. 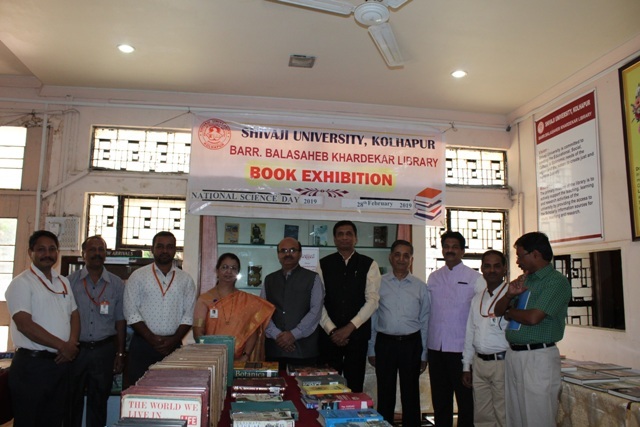 Gurav, Professor & Head Shalini Lihitkar, Department of Library & Information Science, Dr. P. B. Bilawar, Assistant Librarian, Dr. Padmaja Patil, Dr. Y. G. Jadhav & Shri Sachin Patil, - Assistant Professors of Department of Library & Information Science, Dr. Dahade, Shri D.S. Gurav & Dr. R.D. Khamkar – Senior Library Assistant & library staff present on this occasion. One day workshop for persons with Disabilities on Inclusion Education and Acccessibility on 6th January, 2017. One day workshop for persons with Disabilities on Inclusion Education and Acccessibility on 6th January, 2017. Hon Vice-Chancellor handed over the key of two-wheeler to handicaped student. Also separate exhibition of books which are celebrating their 100th birth anniversary (i.e. books published in 1916) was also arranged. Dr. Devanand Shinde, Hon. Vice-Chancellor has inaugurated this exhibition On this occasion of inaugural function Dr. V.N. Shinde, Ag. Registrar, Dr. D. K. Gaikwad, Director Students welfare, Dr. Namita Khot, University Librarian, Dr. Vasanti Rasam, former Registrar Dr. D.V. Muley, Dr. D.B. Sutar, Dy. Library and Dr.. P.B. 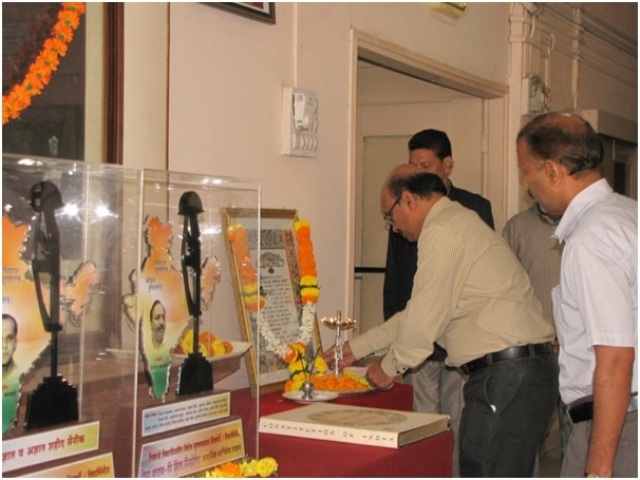 Bilawar, Assistant Librarian, Shri Shafiq Desai, Conservationist, and all library staff were present on this occasion. On 14th March 2016, Barr. 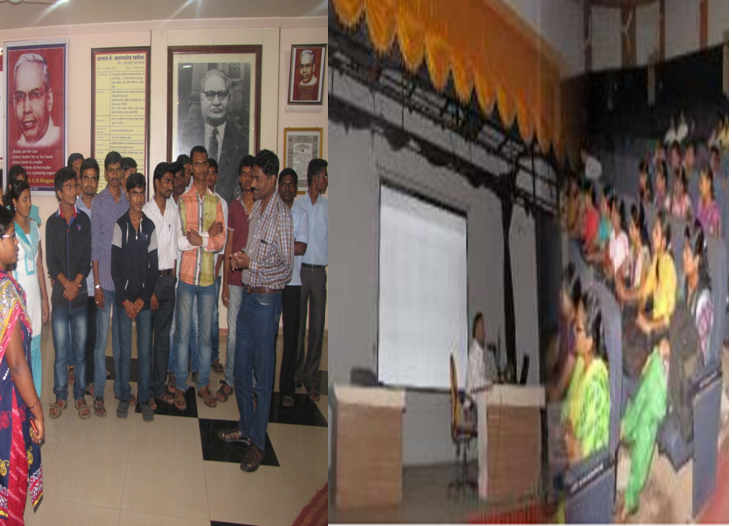 Balasaheb Khardekar Library arranged ‘Wachan –Katta’ Programme. Under the programme ‘Kavita-Wachan’ was successfully carried out. Dr. Namita Khot was president of the programme, Shri. Govind Patil, Eminent Marathi Poet and Dr. D.B. Sutar , Deputy Librarian. The Inauguration of Wachan Prerana Din and Science Direct Awareness Programm by Dr. D.R. More, Director, BCUD, Dr. Mahesh Kakade, Controller of Examination and Dr. Manusha Kulkarni, Director, Diectorate of Languages, State of Maharashtra on the Occasion of Birth Aniversary of Dr. Abdul Kalam. Inauguration of Abalal Rehman Art Gallery took place on 25th August, 2015 at New Library Building of Barr. Balasaheb Khardekar Library of Shivaji University, Kolhapur. Shri Shamkant Jadhav, Chief-Guest – Founder of Rangbahar, Dr. Devanand Shinde, Hon. Vice-Chancellor, Dr. V.N. Shinde, Ag. Registrar, Dr. D.R. More, Director, BCUD, Dr. Jayasingrao Pawar, Director, Shahu Research Centre, Dr. Namita Khot, University, Librarian, All the members of Management Council, Prin. 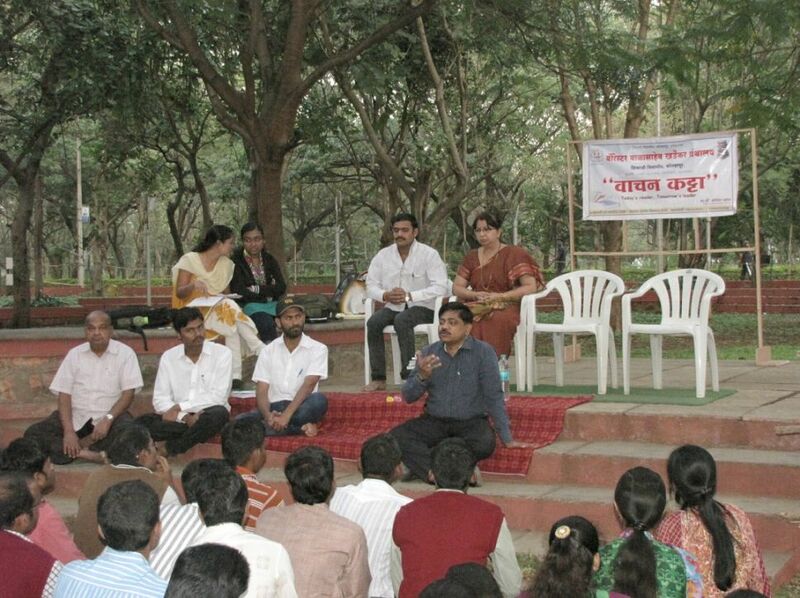 Ajay Dalavi, staff of the University, were present on this occasion. Next “Vacchan-Katta” Program was held on 6th January 2015 by Barr. Balasaheb Khardekar Library. On this occasion the Senior Poet Smt. Nilambari Kulkarni , was the Chief Guest. During this programme many students read the poetry, especially the Visually Impaired students viz. Ku. Sunita Sanadi and Ku. Ruchira Sandi read the poetry in Braille Lipi. Dr. Namita Khot, co-coordinator and all the Library Staff and students were present for the program. 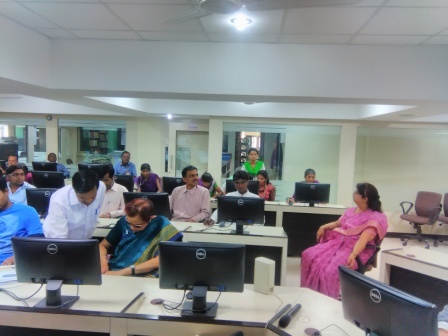 One day work on “ICT Training for visually impaired students/ faculty” was organized on 13th January, 2015 by Barr. 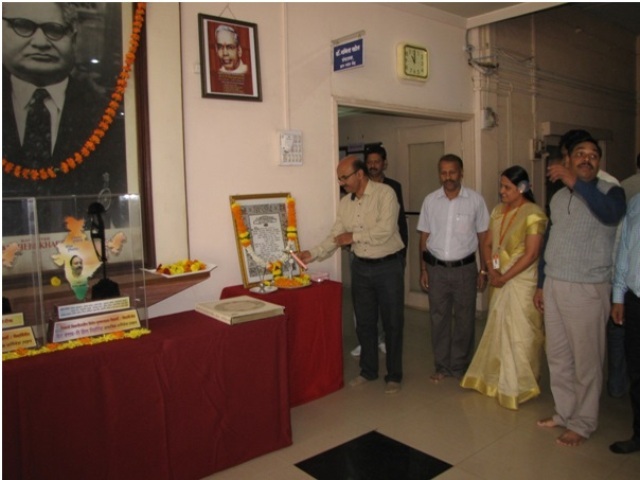 Balasaheb Khardekar Library and this work-shop was inaugurated by Dr. N.J. Pawar, Hon. Vice-Chancellor, and Prin.(Dr.) 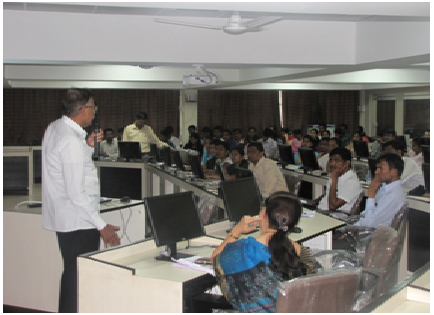 A.S. Bhoite, Hon-Pro-Vice Chancellor, Dr. Manohar Vaswani, Assistant Professor guided as resource person and delivered nice presentation on theme 1) ICT TRAINING and 2) Career opportunities for blind students in two sessions for this workshop Co-coordinator Dr. Namita Khot, University Librarian, 40 visually impaired students and all the library staff has taken efforts for this work-shop. 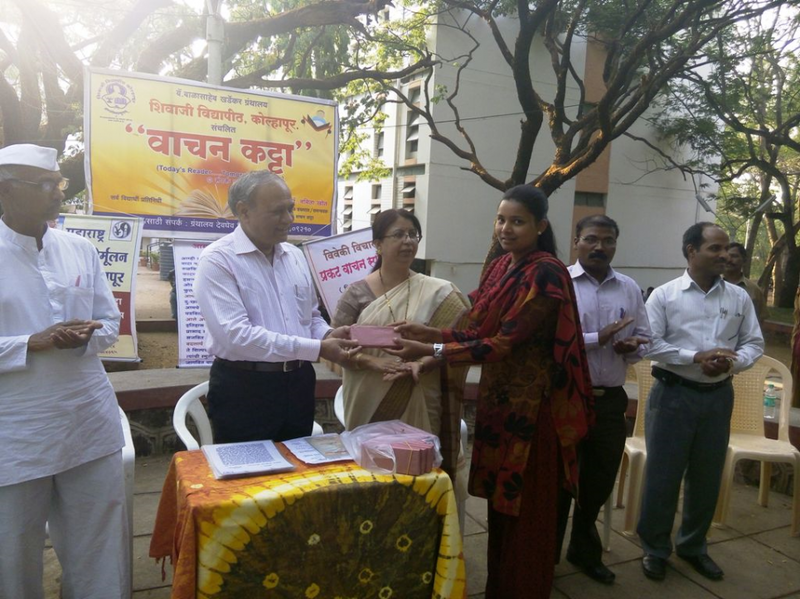 “Vacchan-Katta” Program was held on 8th April, 2015 by Barr. Balasaheb Khardekar Library in collaboration with Maharashtra Andhshradha Nirmulan Samiti . On this occasion the Smt. Seema Patil and Shri. Manik Yadav was the Chief Guest of Maharashtra Andhshradha Nirmulan Samiti and the President Dr. Ahok Bhoite, Ag. 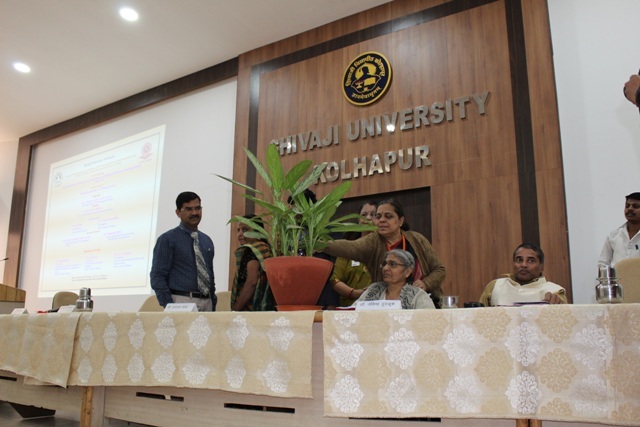 Vice-Chancellor and Dr. Namita Khot, University Librarian are present. 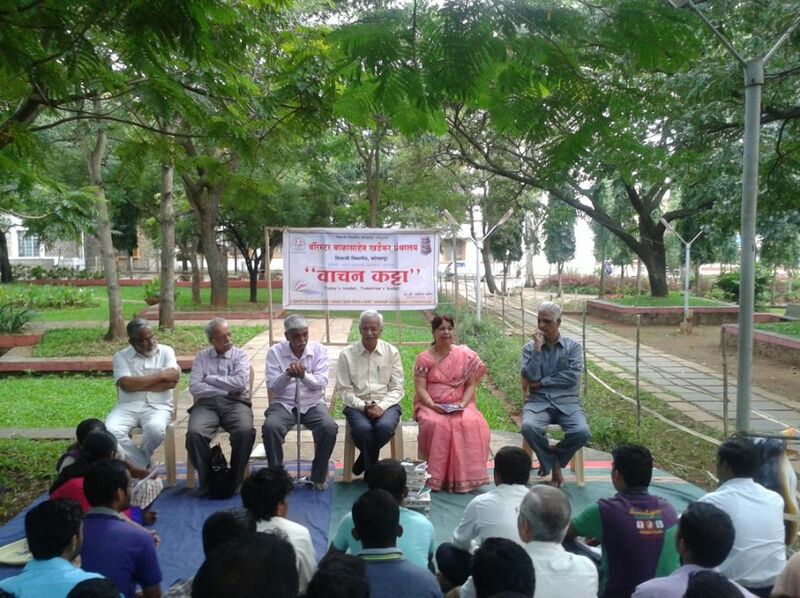 During this programme "Viveki Vichar Prakat Vachan Spardha" was organised.